Positive: Good price; excellent display; powerful hardware; large battery capacity and fast charging. Negative: Heavy. Positive: Nice design; powerful hardware; good price. Negative: Poor cameras. Model: Bagging on a tagline, “Endurance King, Never Stop!”, the Oukitel K10 satisfies what mobile users crave for these days which is good battery life. Launched in January 2018, the Oukitel K10 comes in two distinct colors; which are black and gold. It works on a non-removable 11,000 mAh Lithium-Polymer battery. Twinned with the functionalities of an intelligent power saving mode, it offers a significant battery life. Thus, it is known to lasts for days. Specifically, around 2 to 3 days of usage for users who utilize their mobile devices more, and a week for users who utilize their device sparsely. The Oukitel K10 sure sparks interest in the market especially for its selling price point. With quick charge technology, the Oukitel K10 would be functioning at its full rate of 100 percent in 2 hours and 15 minutes. 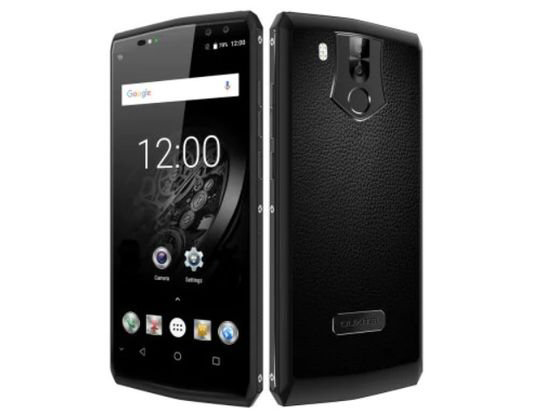 The design of the Oukitel K10, sure is interesting. It has a new prismatic craft that combines the dragontrail glass and a magnesium alloy that lines seemlessly. The back cover however, holds another interesting prospect. It is slathered with real calf leather imported all the way from Australia. The Oukitel K10 operates with Android 7.1 Nougat, and also runs on a MediaTek Helio P23 octa-core processor with an Arm Mali-G71 GPU, 6 GB of RAM and 64 GB of built-in memory. The Oukitel K10 is also accompanied with a hybrid dual SIM (Nano+Nano/microSD), dual Standby, and external memory support up to 128 GB, which uses the SIM 2 slot. The display is in the newer 18:9 aspect ratio. It is a 6-inch, Full HD+ display with bright and vivid colors. The Oukitel K10 has a 21 MP plus 8 MP dual-lens rear camera and a 13 MP plus 8 MP dual-lens front camera for greater selfies. It supports GSM, W-CDMA, LTE, 3G, 4G, WiFi, FM radio, GPS, and Bluetooth. At the back is a fingerprint sensor which is quite fast like most Chinese smartphones. The Oukitel K10 is certainly a device with one of the best battery life. Its high specs with affordable price also makes it as a major appeal to those who are looking for a mid-range phone.